We’re delighted to announce the next step in the evolution of Ireland’s Wildlife’s new Wildlife Gear Review section. 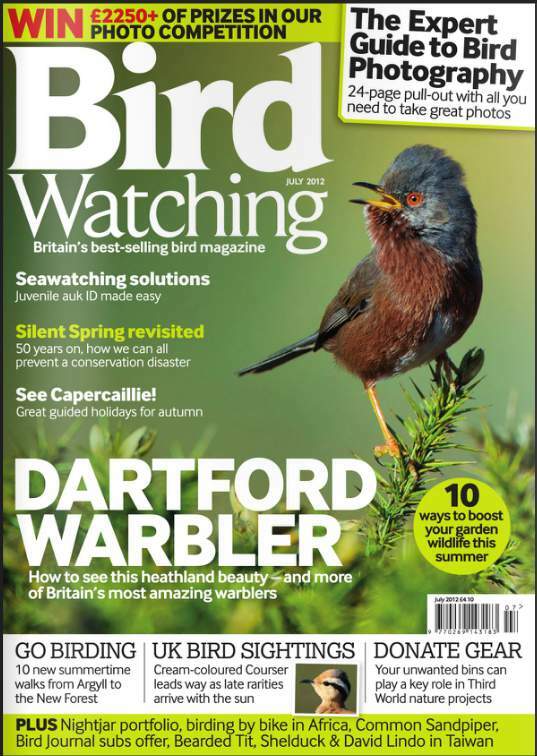 We’re partnering with Bird Watching, the UKs most popular bird and birding magazine, to bring Ireland’s Wildlife Reviews to a whole new audience. Bird Watching will publish Ireland’s Wildlife reviews of high quality binoculars, spotting scopes, clothing and wildlife watching accessories. Initially the reviews will run occasionally, according to space availability on Bird Watching’s editorial calendar, with a view to more regular review slots in the near future. This is an exciting development that we hope will allow us to bring you a more diverse range of exciting wildlife related product reviews on the Ireland’s Wildlife website soon. Stay tuned and we’ll keep you posted here, on the Ireland’s Wildlife page on Facebook and the Ireland’s Wildlife Twitter account. Congrats Calvin! Good to see your work getting into mainstream publications like Bird Watching mag and the Indo mag. Thanks Mark — early days yet, but a very positive start.